The Loot Pack introduces 33 new items including weapons, armor, rings and more! 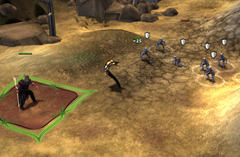 Stardock is pleased to announce that a new Loot pack has been released for Fallen Enchantress: Legendary Heroes. The Loot Pack adds dozens of new items, weapons, armor, rings, and much more. 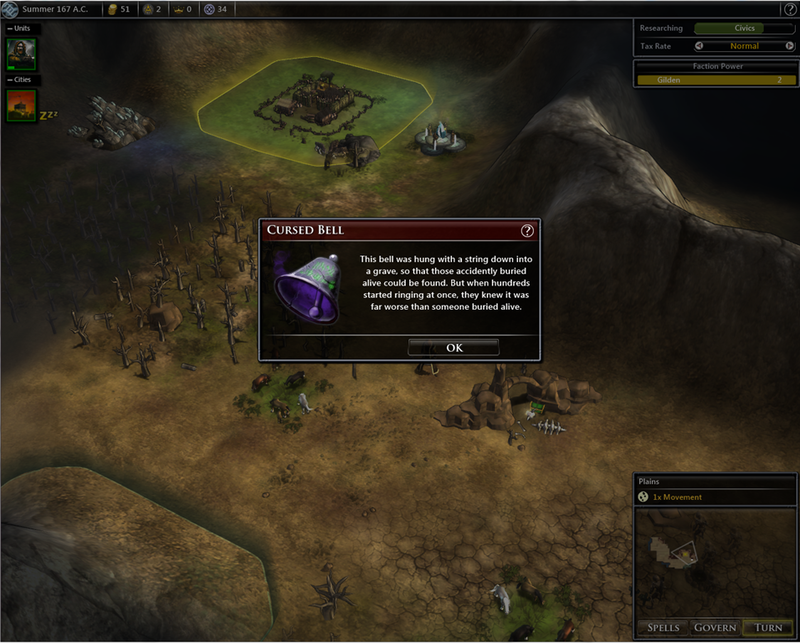 Explore abandoned graveyards and you may find a Cursed Bell which can be rung at desperate moments in battle. Treasure chests may contain a Staff of the Serpent or a piece of Blood God armor. 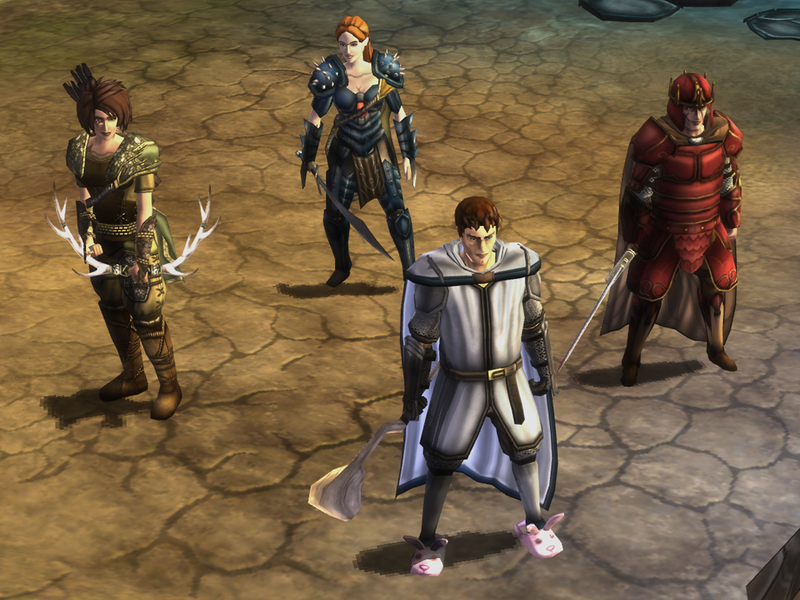 Even comfy Bunny Slippers may aid in your ability to dodge incoming attacks! 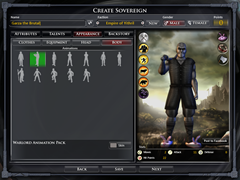 Design your custom sovereign with a Revenging Ring and other new items. Skath Longbow - Enchanted with the power of a Skath, it enables the Deadly Bite ability. Stag Longbow - Enchanted with the speed of the stag, allowing the wielder to fire early and often. Gold Shortbow - A nobleman’s bow which grants additional experience to its wielder. Harridan Shortbow - This shortbow webs victims that are shot by it. Staff of the Serpent - This petrified form of a serpent shoots poison and can summon a Naja in battle. Staff of the Stag - A blessed staff with low attack but it can heal surrounding allies. Shadowbolt Staff - Magical staff that fires shadowbolts that damage and reduce the spell resistance of the target. Giant Lollipop - A massive lollipop with the Bash and Sugar Rush special abilities. Vorpal Blade - A longsword that crits with every attack. Possessed Axe - Cursed axe that strikes a random ally or enemy in range. Breathstealer - Dagger that silences anyone who is hit for 3 actions. Enzo's Knife - Dagger with maul that lowers its victim’s defense on each hit. Bunny Slippers - Though they don’t provide any defense, but they do grant +10 Dodge and +20 Dodge when defending. Plus they are really comfy. Silver Helm - This plate helm makes the wearer Immune to Swarm. Lucky Dice - Accessory that grants +5 accuracy, dodge and spell resistance. Lady Umber's Boots - Armored boot that grants +25 Defense when defending. Lady Umber's Cuirass - Plate cuirass that makes the wearer 30% immune to physical damage. Lady Umber's Greaves - Armored greaves that make the wearer 20% immune to physical damage. Lady Umber's Vambraces - Bladed gauntlets that double the damage done with critical hits. Blood God Helmet - Negates all damage to the wearer from Blood God armor. Blood God Cuirass - Cursed breastplate that enables the Anguish ability that does 8 damage to all surrounding units (allies and enemies) and half that to the wearer. Blood God Greaves - Cursed greaves that do 2 damage to anyone striking the wearer and 1 damage to the wearer. Blood God Vambraces - Cursed vambraces that do 2 damage each time the wearer strikes an enemy and 1 damage to the wearer. Blood God Boots - Cursed boots that double all damage (to the wearer and enemies) done by Blood God armor. Revenging Ring - Each time the wearer is struck the ring gains a charge. Release those charges to damage an opponent equal to the amount of stored charges. Bishop’s Ring - Each time the wearer is struck the ring gets a charge. Release those charges to heal the user equal to the amount of stored charges. Dragon Teeth - Throw these teeth onto the ground to summon 3 skeletons in battle. Cursed Bell - When rung all units (allies and enemies) must resist or lose their next action. 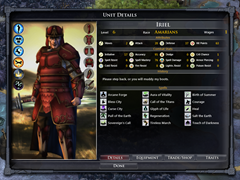 Scroll of Battle Cry - Using the scroll allows all of your allies to take an additional action in battle. Quicksilver Potion - Potion that gives the imbiber 3 actions. Bottled Wind - Uncorking this potion knocks the wielder and all adjacent units prone. Scroll of Imprison - Use the scroll to trap a unit in battle for 5 actions, and they take damage on each action. Scroll of Silence - Use the scroll to keep a unit from being able to cast for 3 turns. Sweet. As good as bought. Since when did the Elemental world include dumb sh!t like bunny slippers? I have run across a my little pony in the game before this pack. If it helps, there were no bunnies harmed in the making of this DLC. My only concern is if a handful of the new items show up CONSTANTLY in goodie huts etc like the ninja loot did in the quest DLC. Fortunately the quest DLC issue has since been fixed and those items don't take such high priority anymore. 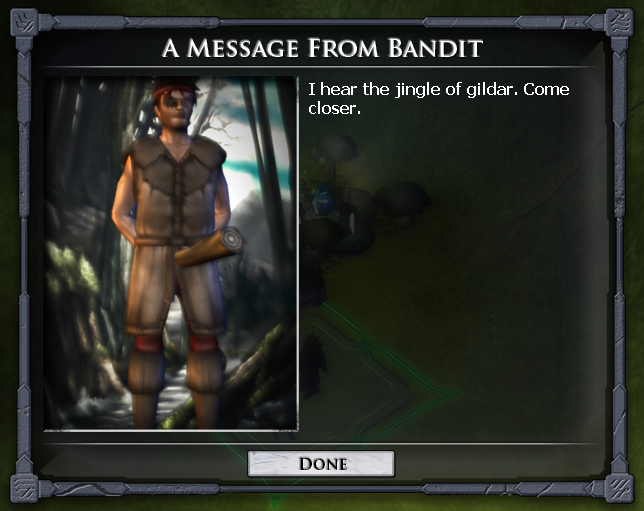 Just would hate seeing literally every other treasure chest with bunny slippers in it. New treasure is available to be found in this third DLC pack for Fallen Enchantress: Legendary Heroes. Explore abandoned graveyards and you may find a Cursed Bell which can be rung at desperate moments in battle. Treasure chests may contain a Staff of the Serpent or a piece of Blood God armor. 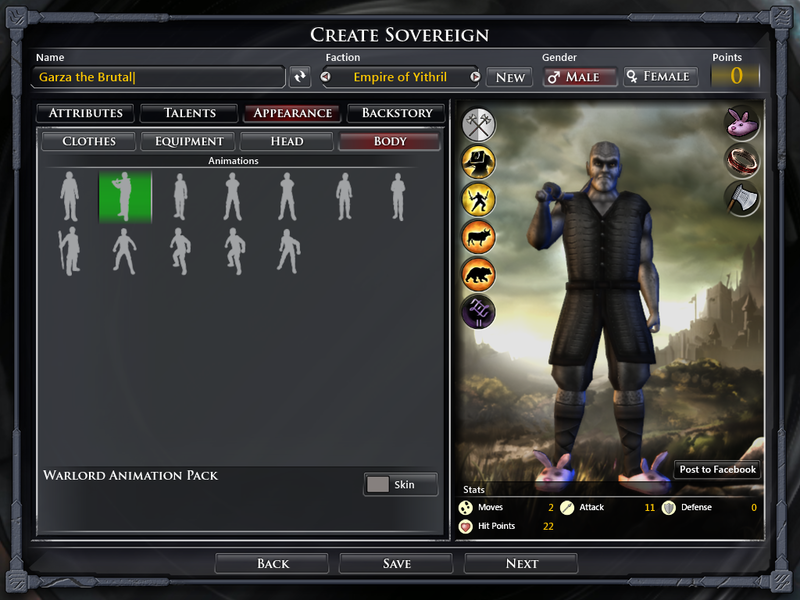 Design your custom sovereign with a Revenging Ring, Bunny Slippers and other new items. Heh. I like bunny slippers! Things you don't talk about in mixed company: religion, politics, bunny slippers. 09/04/2013 - The great Bunny Slipper Gate of Stardock. One for the history books, folks. Bunny slippers are awesome, loving the DLC. Sound neat but does the AI use them...? I presume it's like a summons which doesn't seem to ever be used by the AI. Still hoping we can have this looked at please. heya froggy...yep i am playing again....thanks for the new content. I got the pony again two nights ago and i was very pleased. So can i have a present for being on the stardock forums for 10 years? I want more good games....you guys just keep doing what you do and i will be happy. Like all the other DLC, it was bought without a second though! 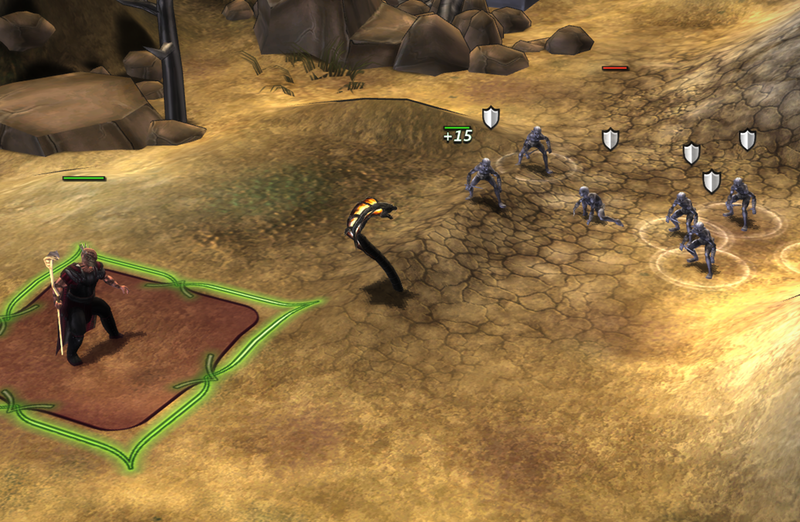 Thanks Stardock, for a great game, a great experience, and keep up the hard work! 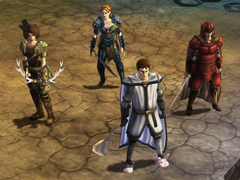 If bunny slippers were your idea, are we going to be expecting bunny armor at some point? I am still vying for froggy armor! Yay, more content! Time for a new game. Ok I bought the loot pack twice. I installed it earlier today at one location and I thought that my game was at version 1.32. At the second location I was still at version 1.3. I just purchased it again just to avoid the hassles and I am still at version 1.3. Did my eyes deceive me earlier? Who knows, but you supported Stardock twice, no shame in that! I will always support this game and all it's DLCs, etc. I just want to see the new loot. Well, after the Broncos kick the Raven's tail feathers!!! I think "I want this," then I think "but this relates to the rpg portion, and the level progression is sooooooo bad." I will get this if the character classes ever get an overhaul. At this point they are actually a detractor. Did you prefer the level progression of FE? 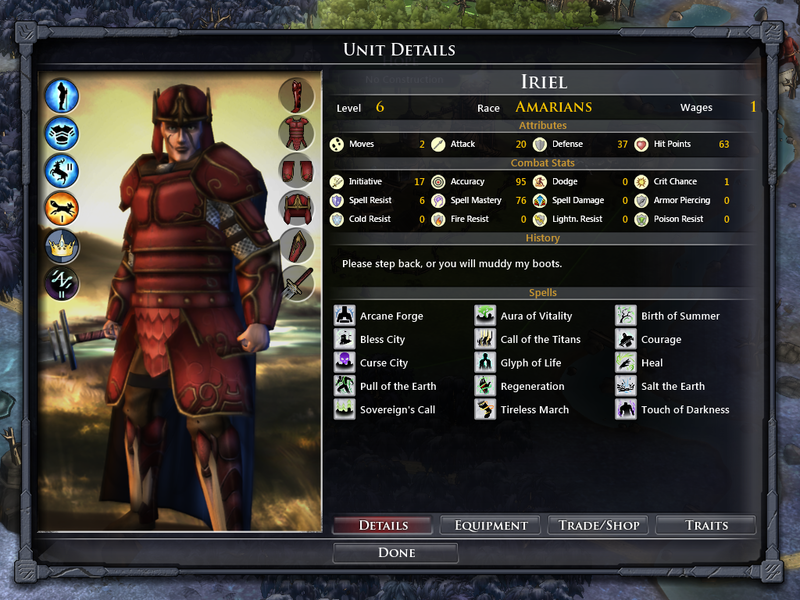 I thought it was too fast, and would allow for hero armies. However, I would go for a bit more xp for hero units, so you can gain some of the more BA attributes. Nothing wrong with bunny slippers in my book. Just wished this pack offered a bit more than it does. And by the way, how/why did you decide to make it 33 total items? Yes, give me more and more stuff, I am always happy about fresh things, I am willing to make my game bigger. I always hope that there come more DLCs. 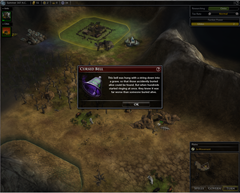 But I have to say I liked the quest Pack more, because it also influenced gameplay with new buidlings for example. I do not like the approach with funny things like bunny slippers and Lollipops, I would prefere it when such a pack would be sold separately for people who like it, perhaps as "Munchkin Expansion". Sorry, all in all I have to say that after my opinion the new items in "Children of Storm" are a lot more inspired and interesting, so this time you would have to make me a more interesting offer to get my 5 €. For example I always missed more mixed neutral enemy-armies/parties like in Baldurs Gate, soldiers + heroes + monsters, combined with a quest or a bounty. For new items I prefer these with more of the spirit of interaction or combination and dpendency with other game components or skills, in CoS are these things for example, that work together with every fire-attack you use. Or give me new items for the unit-designer, too.